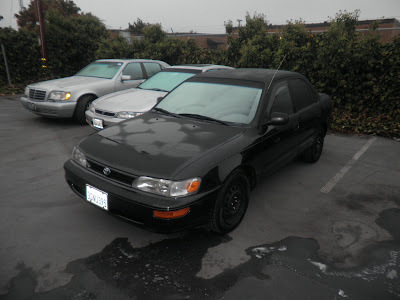 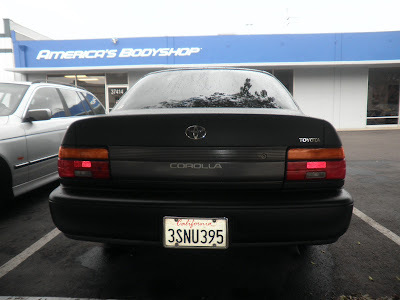 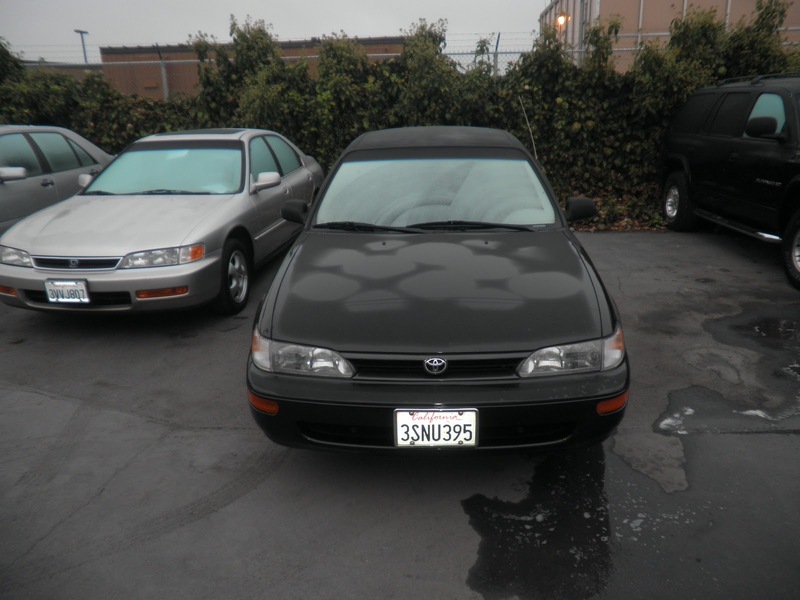 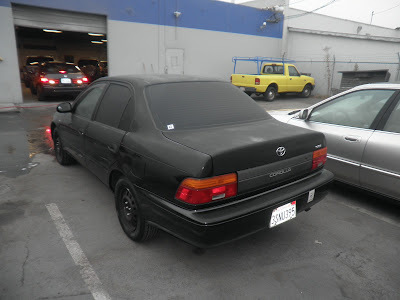 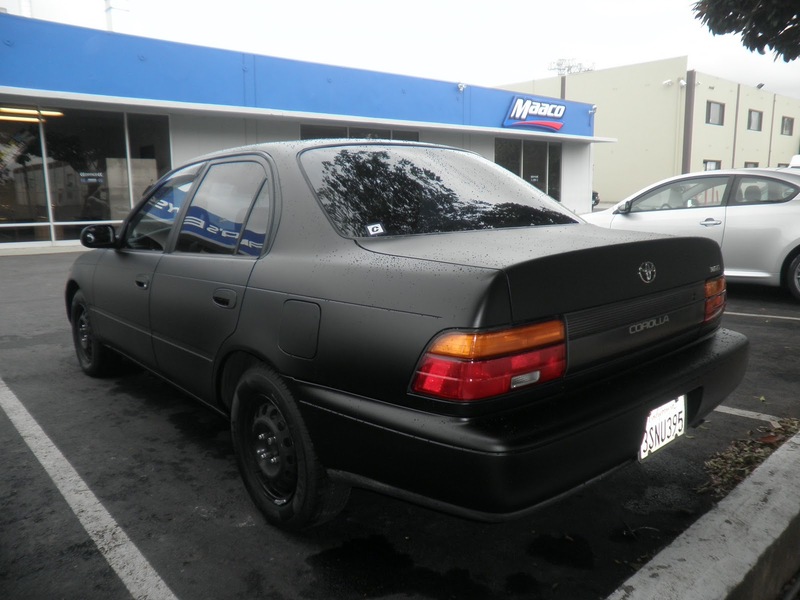 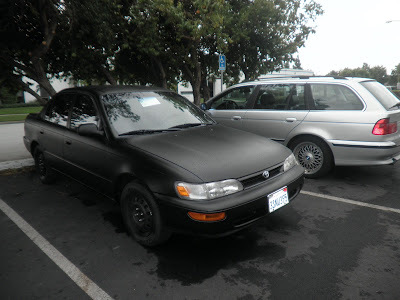 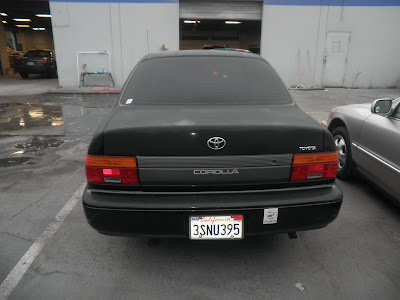 Today's car of the day is a 1995 Toyota Corolla that came to us in need of a paint job. 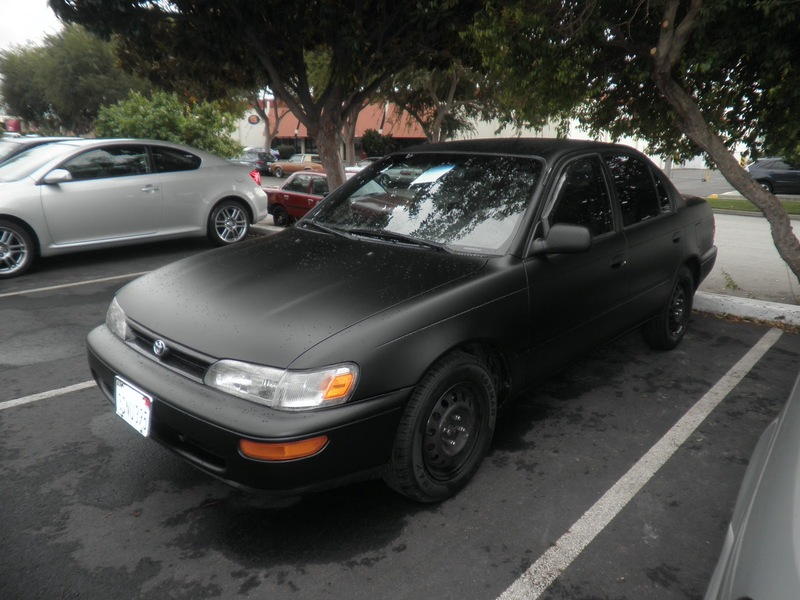 The customer decided to change the color to a Flat Black. 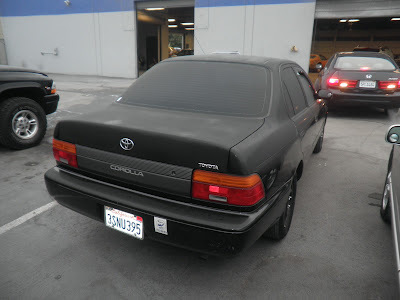 Almost Everything Autobody sanded all the peeling and faded paint that the car had and put a full coat of sealer. 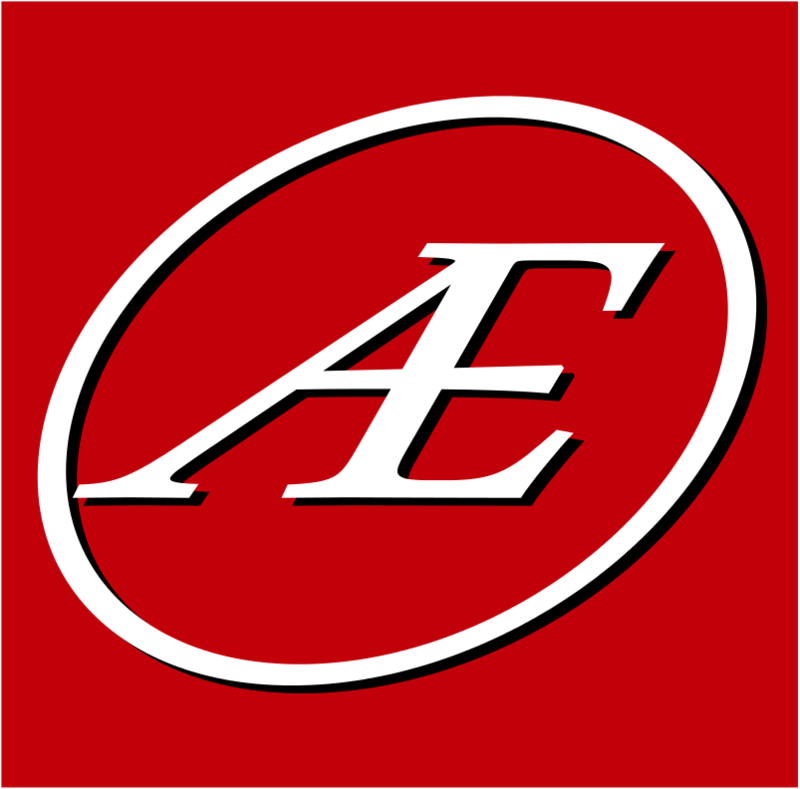 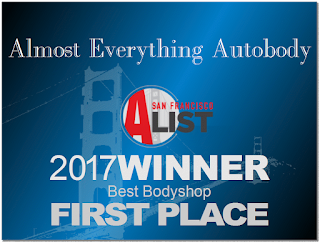 Almost Everything Autobody used its new single-stage paint process to create a durable but inexpensive Flat Black finish, using a special kit to make the Flat Black effect.